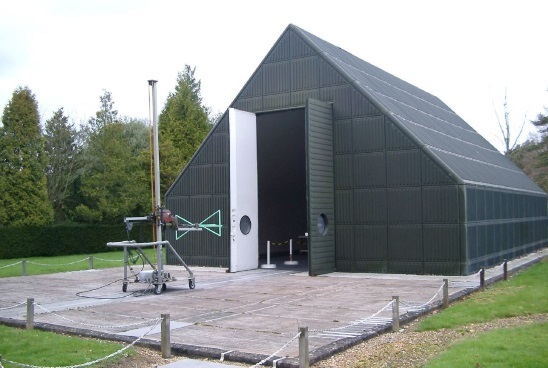 Independent EMC Test laboratory in the south of England. Hursley EMC services was formed in 1997 as a management buy-out from IBM. We specialise in IT products and are recognised as the most experienced EMC laboratory in the UK in this field. We do, however, test all manner of equipment to all worldwide standards. Military EMC testing has recently been added to our test capability and we have a dedicated EMC team to support this activity. In February 2018, Hursley EMC Services (HEMCS) was acquired by the Eurofins Group and is now part of Eurofins E&E Product Testing (UK). For more details, please click here. Following the purchase by the Eurofins Group in February 2018, Hursley EMC Services Limited has changed its name to Eurofins E&E Hursley Limited. The formal name change reflects our new ownership as well as the much broader range of regulatory compliance services that we can offer. Other than our name, all other aspects of the company remain unchanged. We are the same legal entity with the same company number and the staff that you deal with on a day-to-day basis are also unchanged. Our Accreditations and Formal Certifications remain under Hursley EMC Services Limited and will continue to do so until they are updated as part of the regular cycle of audits and review. If you have any questions, please contact us. We have two sites - at Hursley near Winchester and at Chandlers Ford, on the outskirts of Southampton, both with easy access to the M27 and M3 motorways. At Chandlers Ford we have two fully compliant 3m CIPSR16 chambers and a dedicated military area. In addition, the Hursley site has the Open Area Test Site with 3m, 10m & 30m measurement distances. At Hursley Park we have an underground test laboratory. We have 100-120v 50/60Hz, 220-240v 50/60Hz 1-PH and 415V 3-PH at both sites. We have been accredited under UKAS since 1997 and have added more worldwide accreditations since then. For details of our FCC, VCCI and other certifications and approvals, please contact us.